In Perspective: Suvarnabhumi Airport, Bangkok | Insanity at its best! Walking towards my connecting gate, I felt like I was walking inside the belly of a whale. 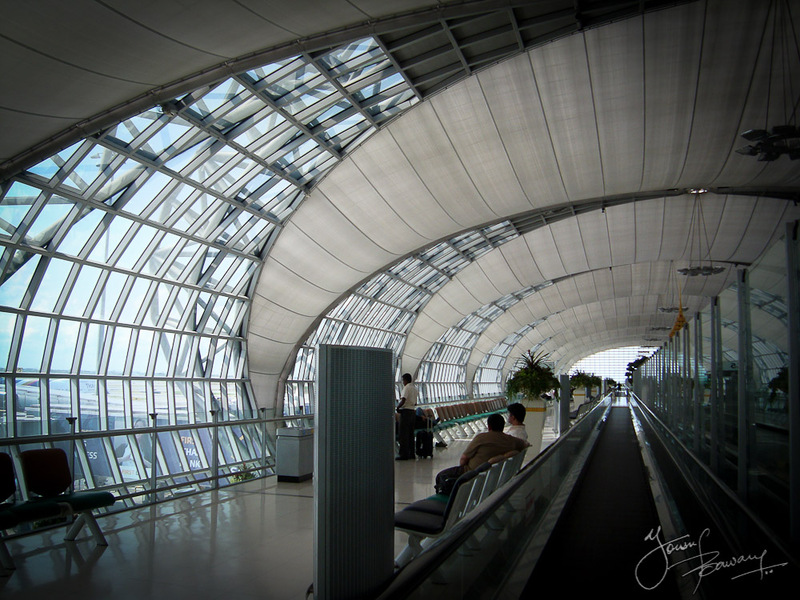 The Suvarnabhumi is absolutely stunning and indeed an architectural feat. This entry was posted in Photo Adventures, Travel/Escapades and tagged airports, architecture, photography, photos, suvarnabhumi, thailand. Bookmark the permalink. I loved Suvarnabhumi airport. Pronouncing the name was a whole different story!